A very positive new review of our debut CD from Classical Source editor Colin Anderson. However, although placed at the end of the disc, and previously recorded, it was the two pieces by Hans Krása that your reviewer was initially attracted to. Czech-born Krása (1899-1944) died an ignominious death in the Nazi gas chambers at Auschwitz on 18 October in the penultimate year of World War Two; he had been transported there just two days previously together with fellow-composers Gideon Klein, Viktor Ullmann and Pavel Haas. Tanec (which simply means Dance) is salty and spirited before relaxing into the reflective curves of Eastern European exotic expression, then syncopating and swanking along to a rather bitter-chorded conclusion. Gravitas informs the opening of Passacaglia and Fuga (also from 1944), serious and searching, Bachian with just a hint of Schoenberg, but any severity is offset by a slow and seductive waltz and, then, a furious Fugue, concluding with another off-note finish. Each of Hans Gál’s string trios lasts for around 25 minutes. The first one is disguised as a Serenade (1932). Its four movements are outgoing and pleasing, written with economy, every note having its place, and Gál wasn’t about to turn his back on the popular side of Viennese dance in music that is at once ‘light’, intricately laced and symphonic. The second movement melts in the mouth, its counterpoint developing like a spider’s web. The following Minuet is a lively affair (Haydn and Mozart would have welcomed Gál to dinner as one of their own) and the finale is engaging in its tripping transparency and classical interweaving. This really attractive work – capricious and singing (I plagiarise Gál’s movement titles) – is a very likeable discovery. The String Trio in F sharp minor dates from 1971. The first movement might be thought strict and strenuous, the writing pared to musical essentials, but there is no lack of assertiveness and bittersweet detours. The second movement, marked Presto, courses along; and the finale, a ‘Theme and Variations’, is often deep in thought, but its privacy is neither ring-fenced to shared listening nor indifferent to changes of mood. 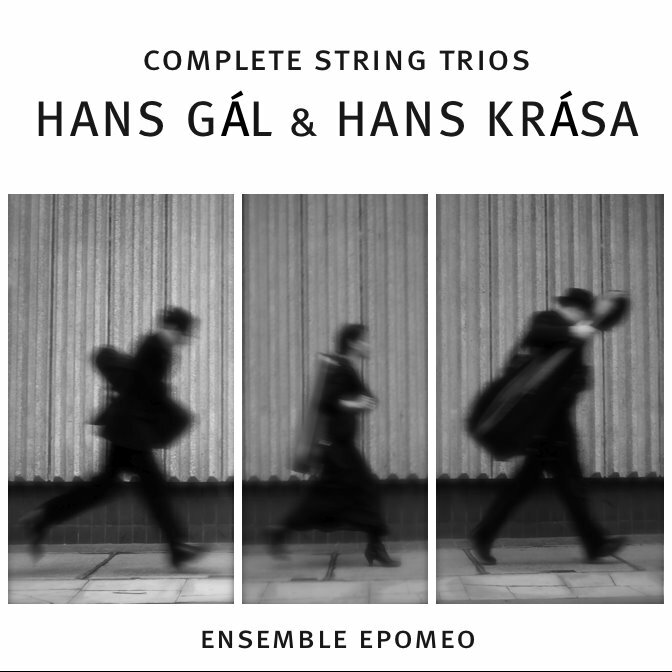 Vividly recorded, the three instrumentalists of Ensemble Epomeo – closely balanced in a slightly too big and resonant acoustic – play superbly individually and as a team and with obvious commitment; clearly Kenneth Woods’s burgeoning conducting career is not to the detriment of his artistry on the cello. Woods has also written a typically enlightening booklet note.